You’re thinking it, aren’t you? You wonder if paying analyst firms will improve your placement in comparative reports, get you included in other reports, get you mentioned in speeches, and recommended when analysts talk to buyers. You don’t want to insult them, but you want to know. Isn’t it all pay for play? We have clients that have multiple analyst contracts and others that have none, and I can tell you the answer is 100 percent… sort of. If you invest in the firms, you will see an improvement in the results. 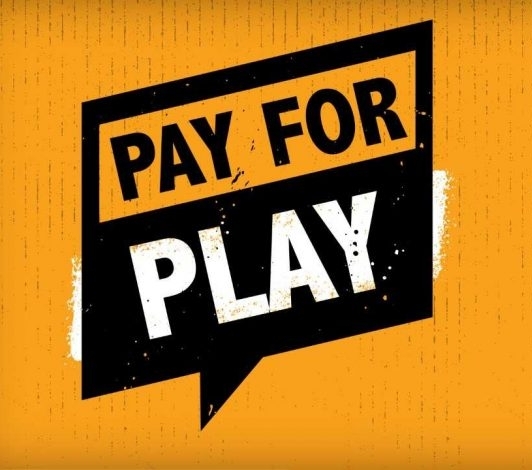 But to be clear about my terms, when I say “pay” for play, I mean pay attention. When I say “invest” in analyst, I mean invest your time and intelligence. Analyst firms have ways for you to spend money and enjoy the benefits of their hard won brand equity. You can sponsor events, buy reprint rights, bring an analyst to your customer event, even buy custom research, and more. You can not simply buy better representation in syndicated reports. What you can do is use your subscription to an analyst firm to increase your access to analysts, better understand their thinking, know what research they have coming up and ask them what you need to improve in order to impress them (and by extension, your prospects). Or don’t sign a contract with a firm, but do the work required to help them understand your market and business. This is the real investment that pays the dividends some think comes from a fat check. 1) Invest no money, and minimal time: you are putting together marketing materials anyway, right? Do you have a list of analysts that cover your market? Get one, and package that content on a quarterly basis and send a newsletter to those that would be interested. Not only will it keep them up to date on your progress, but it serves as an archive over time so when a client asks them about you, they can quickly pull together information to share. 2) Invest no money, but a bit more time: all major firms will take briefings, even if you don’t have a contract. Put together a calendar of regular briefings, even if it’s just once a year. Most firms have a form you can fill out to request a briefing, and it only takes a second with your favorite search engine to find them. Here are Gartner’s and Forrester’s. The personal attention of a senior executive is irreplaceable in building understanding between your company and an analyst, even if they fundamentally disagree on some issues. Beyond briefings, some firms publish their research calendars on their websites, and knowing who is publishing what and when allows you to be in the right place at the right time with a briefing or sending relevant content. Finally, some firms offer reports for free. Some other reports are available online from companies that purchased reprint rights. If you aren’t reading them, you are at a distinct disadvantage versus competitors that are. 3) Invest money and time: having a contract with an analyst firm gives you far greater access to the analysts and their plans. This is where the time commitment becomes substantial, but with far greater impact. Contracts give you the right to regularly query analysts and read their reports. Adding inquiries to your schedule of briefings means you can ask all of the burning questions, including “what are our competitors doing that we’re not?” “What research do you have coming up and how can we help?” “Why didn’t we do better in that report?” and “What do you think of our new offering?” Let your imagination run wild. Very little is off the table. You may note I didn’t include “invest money but no time.” That would be a huge mistake. The contract negotiation and maintenance is handled by a separate organization in the major firms, and the analysts won’t even know you’re a client if you don’t make use of the benefits offered by that contract. There are firms that allow you to sponsor reports and get content alongside research, but that won’t change the analysts’ understanding of you in and of itself (unless your paid content is exceptionally educational). So, yes, pay the analysts. Pay them with your time, attention and expertise. Pay them with access to your customers. Pay them with care in how you communicate with them. And if you can afford it, pay them for the access you can use to deepen their understanding of your company. The benefits go far beyond better placement in reports. You will have the benefit of hearing from people that talk to your prospects all day. You will improve your marketing, sales, and product development. You will have better qualified leads, and more of them. It’s the kind of play that’s worth paying for. Older PostY'all meet Beth? Plus: thoughts on Analyst Relations and reaching five years.